In today’s U.S. craft beer market, tenure is a very relative term. So, when something has been around for 20 years, you take notice. That is the case with New Belgium Brewing’s wood-aged sour program, which is the oldest in the United States. 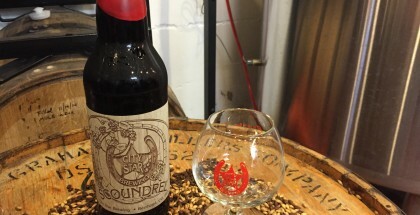 The program has created sour trendsetters like La Folie; all the while continuing to set the mark for what consumers should look for in a good wood-aged sour. 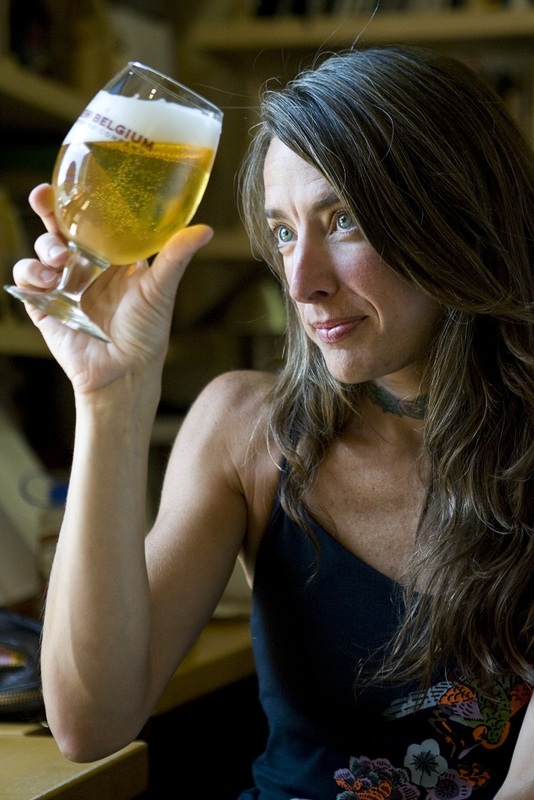 Led by New Belgium’s Wood Cellar Director and Blender, Lauren Woods Limbach, their wood-aged sour program continues to have a curated voice in the increasingly competitive craft beer market and the increasingly splintered taste preferences of today’s consumers. While hazy beers and fruited Berliners are all the rage, a well-crafted barrel-aged sour will always hit the high notes for me; and I know I’m not alone in the sentiment. I spoke to Limbach along with Specialty Portfolio Brand Manager Andrew Emerton to learn more about the growth of the program, why they’ve decided to launch the Into the Wild series, and what comes next. Chances are, if you’re a craft beer fan today, you’ve been to a craft beer event or festival. It comes with the territory. Many of these festivals focus on small pours of heavy stouts or huge IPAs combined with a necklace of stale pretzels. While that experience is definitely enriching in its own way, it was not what New Belgium was going for with their Into the Wild series. 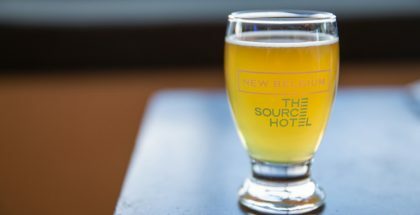 The new series, which had its first event in Seattle earlier this year, is meant to present the power and range of complexities found in wood-aged sour beers. Instead of pretzels, guests were treated to a curated selection of cheeses meant to complement each of the beers poured. Sour beers often hit multiple notes and demand a certain sort of attentiveness, much like wine. To ensure that their beers were presented in a similar fashion, Emerton and team searched for a cutting-edge culinary partner doing something unique with an inherently regional spin – like aging of cheeses or curing of meats. In Seattle, that meant offer the Asian-inspired smoked meats of Central Smoke alongside their sour beer stalwarts: La Folie and Le Terroir. The next Into the Wild event will be in Austin, followed by events in Raleigh, Denver, New York City and San Francisco. Each city was intentionally selected due to their vibrant culinary scene. This was all intentional, says Emerton. 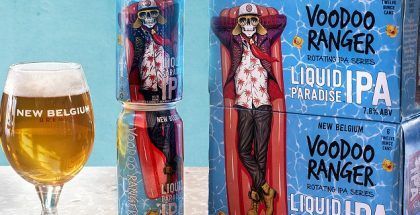 While New Belgium’s wide-ranging beer portfolio including Fat Tire and Voodoo Ranger IPA entices the typical craft beer drinker, their wooded sours skew more towards fine dining. Much like a wine tasting, the Into the Wild series is hoping to showcase the finer form of sour beers and help ritualize the process of drinking a nice bottle of La Folie – glassware, presentation, pour, and all. “It’s our time to push outward into the restaurant sphere and start talking more to those people. If we retract too much, we won’t have as great of an opportunity to move forward and grow much like wine has done,” said Emerton. Putting dates on a calendar is more than just finding a location and booking a chef. It requires precise planning and pinpoint execution when it comes to the production of these wood-aged sours. It takes an expert in their craft to produce the same quality of La Folie and Le Terroir, time and time again, along with regional-inspired sours for each event. Thankfully, New Belgium has Lauren Woods Limbach, a stalwart in the wooded sour space and a founder of the U.S. sour movement. The coordination between Emerton and Limbach when it comes to these events is a delicate dance. Each sour event gets the two heavy-hitters, La Folie and Le Terroir, along with brand new creations from Limbach inspired by regional culinary or produce trends. One of her current favorites set to be released soon is Southern Vine Sour, made with a fruit called scupperong. Yes, I had to look up how to spell that. The entire batch of SVS took place in one foeder, producing 46 barrels and was aged and re-fermented for over a year. Limbach is immensely proud of SVS; then again, she’s incredibly proud of all of her creations. Her brewing domain in Fort Collins, which began in 1998, consists of 66 foeders, ranging from the small (15bbl) to the massive (220 bbl). 64 are composed of white french oak but her two favorites are white oak foeders gifted to New Belgium. Last year, their wood cellar program produced 12 unique sours, included year-round offerings like La Folie and other uniquely-inspired creations. New Belgium is the leader in the wood-aged sour space in the U.S. That’s a testament to their 20+ year heritage and consistently excellent creations. It’s also a big responsibility, as they have to make sure wood-aged sours are competitive amongst other beer styles. 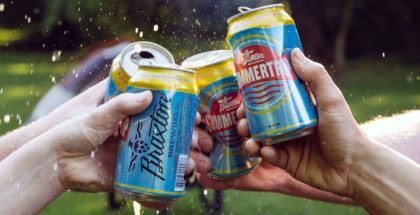 Alongside events that showcase the fine dining characteristics of sours, Emerton is also adamant that a big market driver for the future of New Belgium; and the rest of the sour market will be the how they present these beers, both on-shelves and in the home. A perfect example of this is the re-introduction of the cork and cage 375ml bottle format. It stands out on shelves and gives New Belgium extra space for the adequate branding and presentation of the beer. This is all intended to help ritualize the process of seeing, buying, and drinking a wood-aged sour. Continuing New Belgium’s momentum in the space requires consistency along with a concerted effort to stretch the boundaries of their sour program to ensure that they adhere to the changing whims of today’s craft consumer. 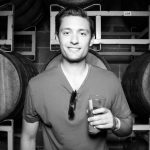 Programs like Into the Wild and the re-introduction of the “champagne-style” bottle format are perfect examples of a brewery that knows their core target demographic but also understands the opportunity outside of it. They’ll need to find balance between the two; between the fan favorites and the new releases that appeal to a new fan entirely. Limbach has seen a variety of market shifts in her tenured career so the newest wrinkle doesn’t phase her – and it shouldn’t. There’s only one La Folie. It’s the bellwether, but New Belgium isn’t content to rest on their laurels. “We’ll never stop innovating, there will never be a moment when we stop.” I’m excited to see what they do next.